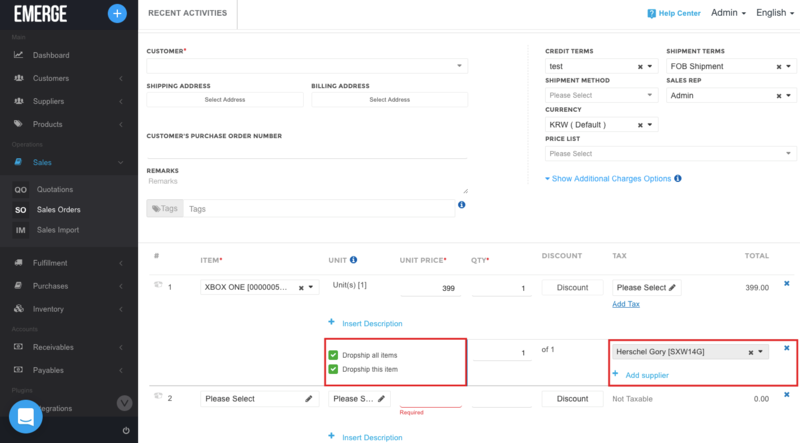 Fill up the necessary fields and check Dropship all items or Dropship this item, depends on you then select product's supplier. 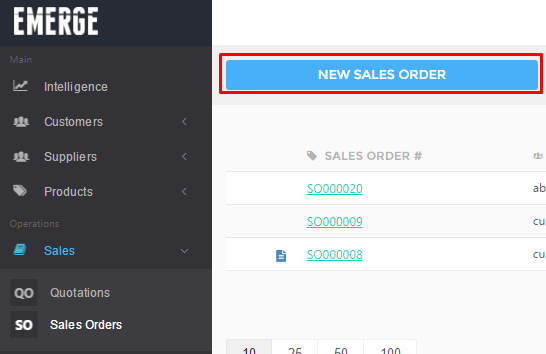 Fill up the necessary fields and click Save. 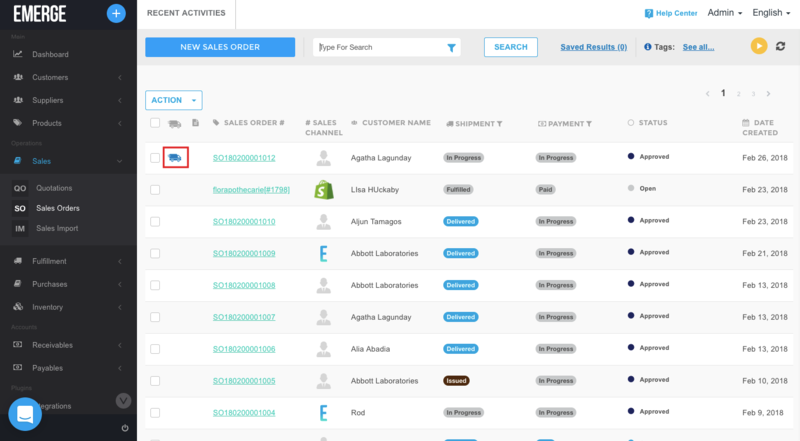 The new dropship order will be displayed in the sales order listing page with a truck symbol. 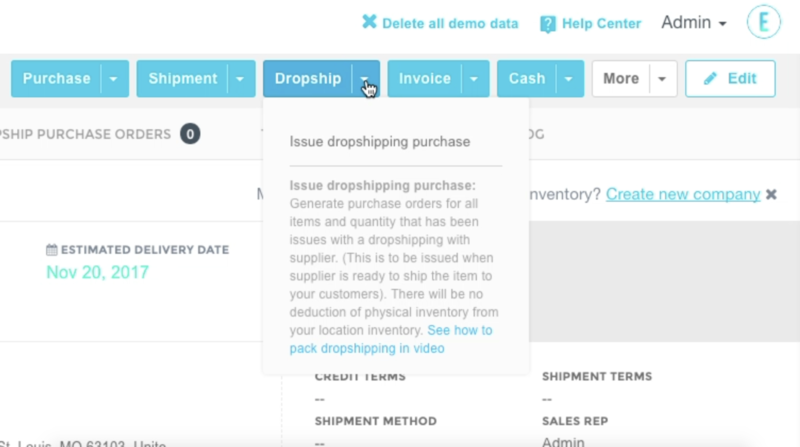 After saving, click on Dropship button on the menu on top of the dropship order and choose Issue dropshipping purchase. 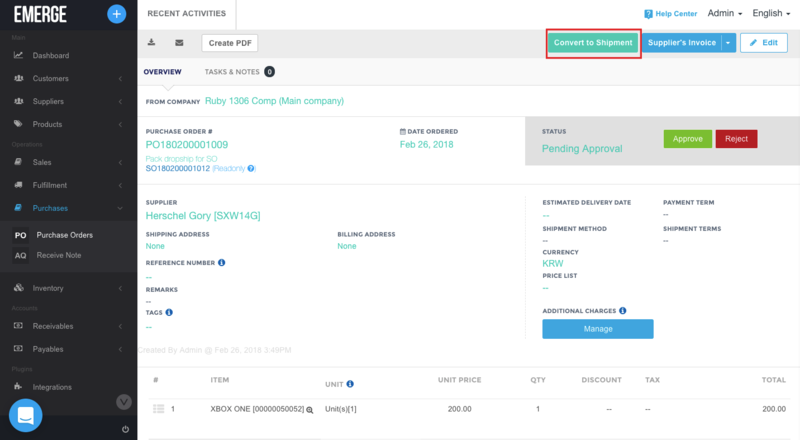 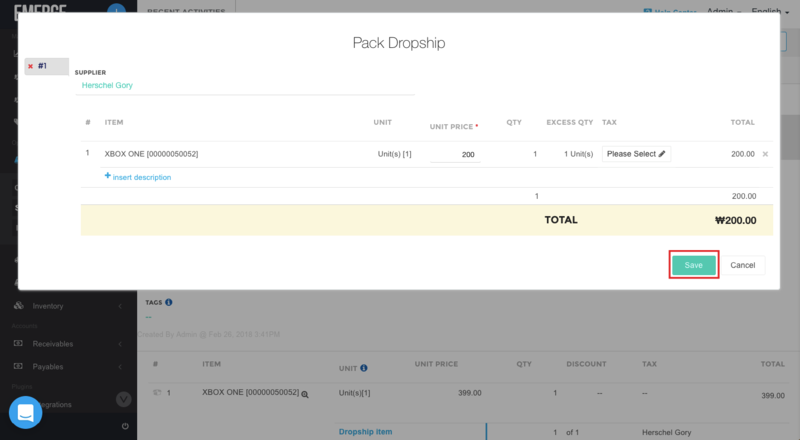 Click Save for the Pack Dropship pop-up to create a Purchase order for the Dropship order. 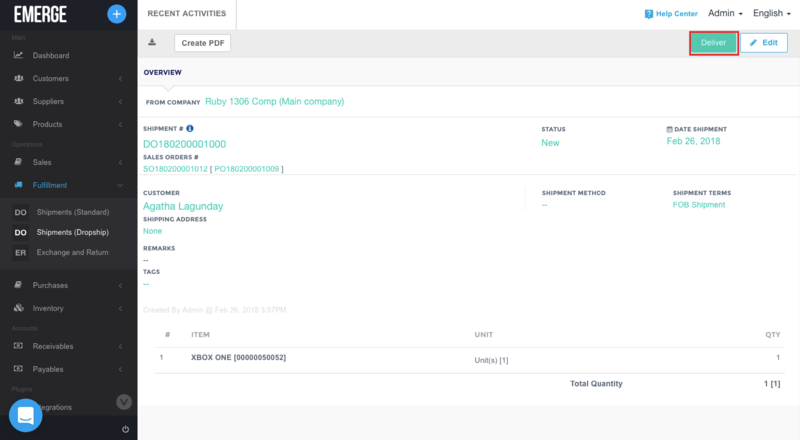 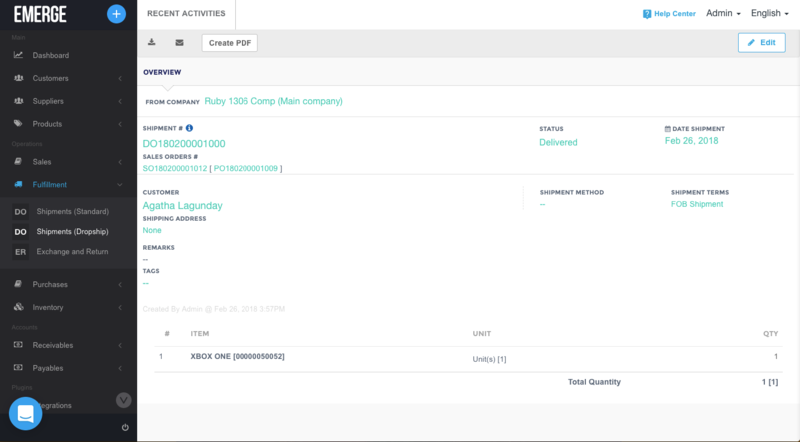 Go to the PO, click on Convert to Shipment and Deliver to deliver. 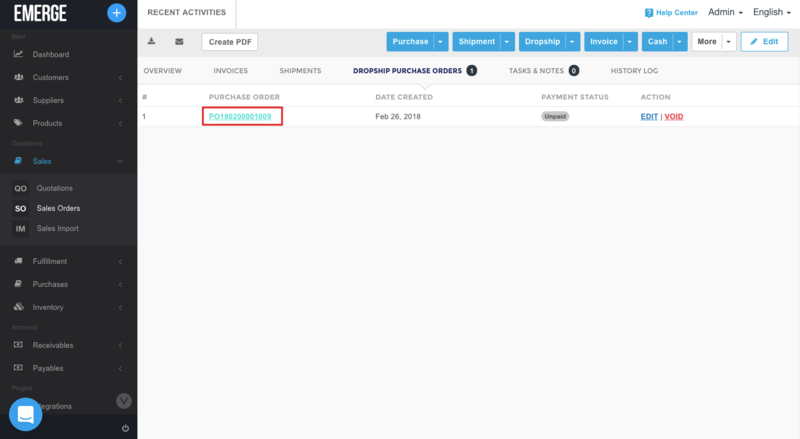 And that's how you proceed a dropship order, continue with Supplier's Invoice and Customer's Invoice.